Cellie frequented and prayed with the Sisters of the Precious Blood, especially Sister Mary Joseph. Our family would like to thank each one of you for being a valued and important part of Cellie's life. 18 of 25 | Posted by: Debbie F.
Marcelle "Cellie" Bolduc (Gauthier), 80, of Manchester, died after a short illness, on April 14, 2012, in Palm Beach Gardens, Florida, with her family by her side. 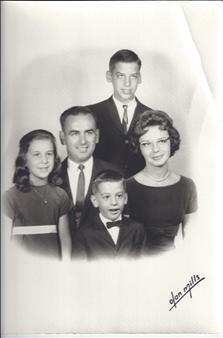 Cellie was born in Manchester, NH, on April 20, 1931, the daughter of the late Fabio and Leoda (Danault) Gauthier. She was a graduate of St. George and Central High Schools, and was a lifetime resident of Manchester, spending the winter during her retirement years in Florida. She had a career as a businesswoman - selling Fashion Two-Twenty/Lady Finelle and then as a floral designer for her own business, Silks and Petals. She was also a volunteer and first professional manager of the CMC Gift Shop and past president and member of the Quota Club prior to her retirement. Cellie enjoyed participating in Red Hatter activities, going out with friends, shopping with her daughter, and spending winters in Florida where she made many friends. singing at weddings, funerals, variety shows, and the Women's Spirit Song group. 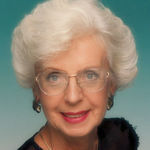 During her life, she was a devoted wife, mother, grandmother, and homemaker. Holidays with her family were most special to her. Her granddaughters and great-granddaughters held a special place in her heart, and she showered them with her love, praise, and gifts on many occasions. 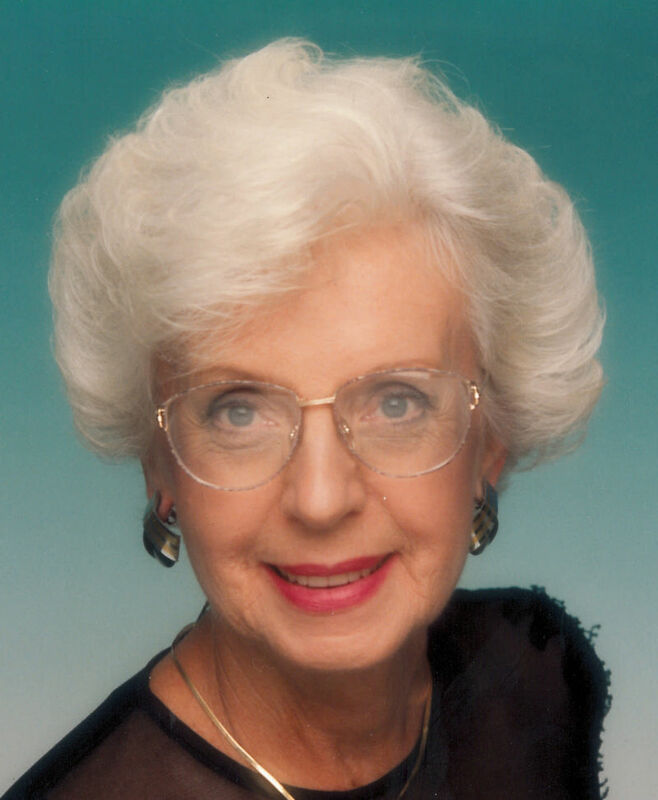 She also enjoyed keeping up with the latest fashions, and everyone who knew her always saw her with a complete ensemble, including makeup and jewelry. 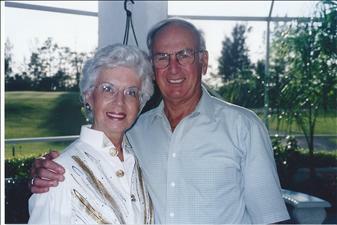 Cellie leaves behind her husband of 62 years, Vince Bolduc of Manchester; two sons: David Bolduc and his wife Diane of Manchester and Daniel Bolduc and his wife Denise of Hooksett; a daughter, Louise Davis, and her husband Kent of Hooksett; a sister, Norma Blum, of Key Biscayne, FL; 4 granddaughters: Elizabeth Boswell and her husband Kevin, Katharine Bolduc, Amanda Davis, and Jenna Bolduc; and two great granddaughters: Eveleen and Olivia Boswell; and numerous nephews and nieces. She was predeceased by a brother, Ronald Gauthier. Services: Visitation will be held Wednesday, April 18, 2012, 2 to 4pm and 6 to 8pm at Phaneuf Funeral Homes, 243 Hanover St, Manchester. Funeral services will be held in the funeral home chapel, Thursday at 10:00am. Committal prayers will be said following the service in the Mausoleum at Mount Calvary Cemetery, 474 Goffstown Road, Manchester, NH. Please know that my thoughts and prayers are with you and your family. May you find strength in each other and comfort in the memories you cherish. For the past few years Cellie organized a "cousins" dinner. She had a way of bringing us all together. I always enjoyed those dinners very much. She will be missed!! I just found out at last nights meeting that you have gone on to Heaven. You will be missed at our meetings. I loved to hear all the interesting ideas and your positive messages you gave us all. Rest in Peace my friend. My deepest condolences for your loss; Thoughts and prayers to the Bolduc family. i send my sympathy to all of the members of mrs.bolducs family. I'm praying for the family and Uncle Vince during this hard time. I know Cellie lived a good long life and touched many lives. Take care and may God comfort us all in this hard time. Love y'all. We are so sorry for your loss. As our families grew closer over the years, we had many occasions to meet and spend time with Cellie whether at your home or a Derryfield game or function. We always enjoyed those moments. I know she was a large part of your lives and I know that you will have many wonderful memories to carry you through this difficult time and beyond. I've been blessed to have such an incredible Godmother. Rest in peace and enjoy the Heavenly reunion with your brother, my dad Ronnie. May you both be rejoicing with Jesus! Life Stories provides friends and families a forum to post their favorite stories and memories of Mrs. Marcelle Cellie Bolduc ensuring the precious experiences are never forgotten. Share joyful times, post a photo that captures the moments you cherish, and allow others to reply, relive and remember. On behalf of our family I would like to thank everyone for attending today’s service. Some of you traveled great distances to be here, which says a lot about you, and your connection with mom. I would also like to thank each one of you for being a valued and important part of our mom’s life and in her family’s life. Your love and support, both past and present, is much appreciated. Mom was a strong woman and possessed many qualities. I admired how she managed to strike a unique balance between strength and grace. Selectively and tactfully, she fought for what she wanted and for what she believed was right. Let’s just say, you didn’t want to be in her way she made up her mind to get something done. When she faced adversity, she persevered. 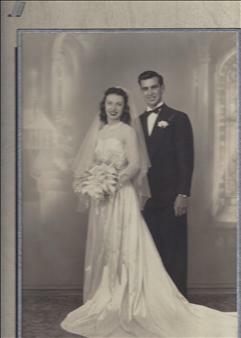 Mom had a passion for life and was passionate about celebrating life. She was considerate, thoughtful, kind, loving and compassionate. She lived a full life and never missed an opportunity for fun. Having a mom with these attributes, and more, is truly a source of great pride for me. During our childhood, and throughout our entire lives, Mom was always proud of our accomplishments and never hesitated to tell us so. She wanted us to be happy and guided us in making good choices. In mom’s eyes you knew that you were special and that made you feel like you could do anything. Whether going for a sports team tryout, a first date, a job interview or any challenge, mom’s smile, encouragement and support was always there. Mom impressed upon us the importance of family and she made sure that we grew up believing that family came first. Making time for family was just part of the life we learned to live. 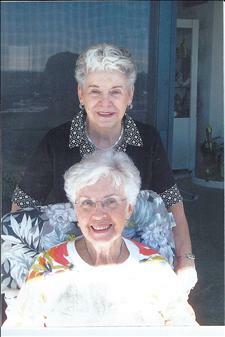 She often expressed how pleased she was that we have remained a close, caring family. In so many ways mom shaped the person I am today. Looking back at my upbringing, I now realize that mom was teaching, guiding and shaping me, but not in a preaching sort of way. She did it in the very best way. She did it by giving me a great example of how to be a supportive spouse, a loving parent, and a true friend. 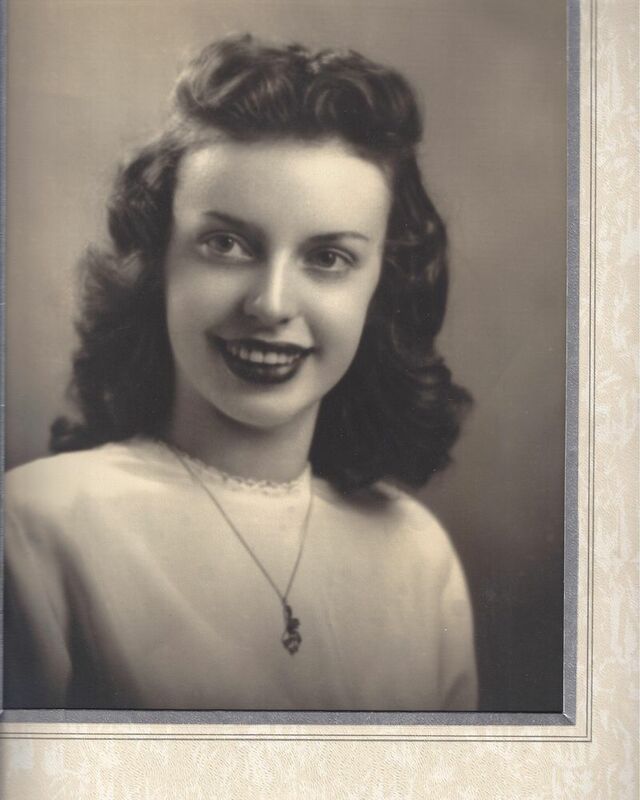 I thank you mom, for teaching me all that you did and continue to do so through your memory. She left her children a legacy of love and respect. I believe that the definition of a successful life is to leave the world a bit better because you have lived. I think we would all agree that mom did in fact leave the world a better place and I thank her for that. Mom, I’m proud to be your son. Thank you mom, for always being there. I carry your memory in my heart. I want you to know that you will live on through my actions and achieved dreams. You will be missed by all, I love you.